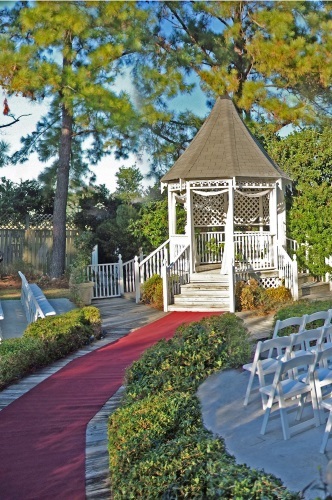 At Sunny Meade we are known for hosting the most elegant outdoor wedding ceremonies at our wedding facility. When you choose to have an outdoor wedding with us, your bridal party and guests will enjoy a spectacular setting including our vibrant garden and charming gazebo set among beautiful trees. Our outdoor wedding package also includes music for the ceremony, white wedding chairs for your guests, a unity candle table and a wireless hand-held microphone. Of course, if you prefer an indoor ceremony, our wedding hall can be set up to meet your specific needs in a warm and elegant atmosphere. Your guests can enjoy our lush gardens all year round! It’s the perfect setting for a romantic wedding ceremony. Plus, our atrium is the ultimate celebratory space to rejoice with friends and family on your special day. Wedding Planning, Catering, Floral Arrangements, Candle Light & More! Our wedding facility offers you all-inclusive wedding services including planning and coordination of everything, down to the last detail. Your wedding reception will be held in our beautiful glassed-in atrium overlooking a candlelit pool. We also offer you full catering services for your wedding reception, with four different menus to choose from to meet your specific tastes. We also provide a number of bar packages that include set up, bartenders, champagne for toasting and champagne for the honeymoon suite. Victorian Bridal and Honeymoon Suites to Begin & Complete Your Wedding Day! In addition, one of the most unique and charming features at our wedding hall is the Victorian bridal suite. The suite is available on your wedding day three hours before the ceremony. You and your bridal party can get dressed and prepare in style while also enjoying champagne and appetizers. Combining all-inclusive wedding services with a wonderful setting for an outdoor wedding, Sunny Meade is the place where dream weddings come true. Contact us to tour our charm-filled wedding facilities or to walk in our beautiful gardens, the perfect setting for your wedding!